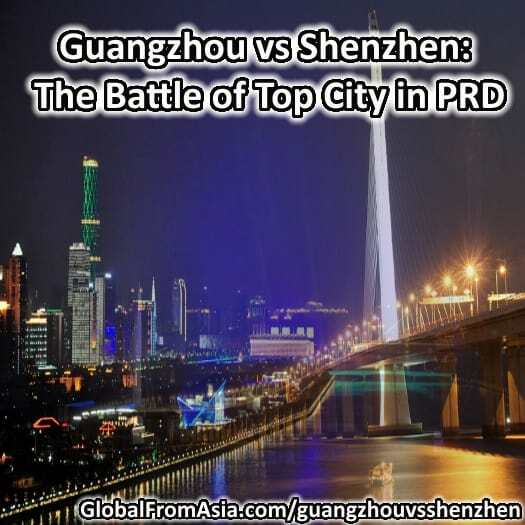 The top 2 cities of South China – Shenzhen and Guangzhou. It’s a top question I get “Should I live in Guangzhou or Shenzhen?” so I thought deserved a blog post on its own. 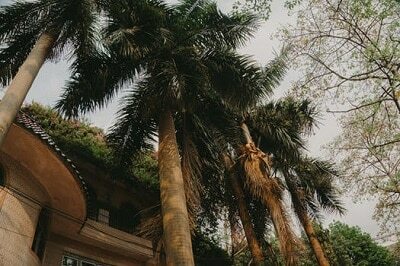 Related: we have a few guides on the blog pros and cons of living in Guangzhou, as well as Shenzhen compared to Hong Kong, so check those out too if you’re researching which city to live in china. It’s safe to say, if cost is a big factor in your living decision – Guangzhou will be cheaper. Hands down, across the board. Its “Wider” (more districts at different price points) and older. Plus it isn’t as close to hong Kong as Shenzhen – so it doesn’t have that constant pressure of HK people buying real estate or commuting back and forth daily. If you need to get to Hong Kong often, then Shenzhen is your clear choice. You can take a train from Guangzhou to Hong Kong in about 2 hours. Which is possible to do for a day trip, but pretty rough to do on a regular basis. In the coming years, all these cities will be more wired and interlinked. But that just means it will be even easier and faster to get to Hong Kong from Shenzhen. The normal 45 minutes now will turn into 20 minutes, and the 2 hours from Guangzhou will turn into 45 minutes (approximately). If you’re doing regular business with Hong Kong, then Shenzhen is a good place to base. Of course, you can just simply live in Hong Kong – but the cost of living there is sky high! Mandarin should be the Chinese language you are learning. It is the official language of China, and people around China and the rest of the world will grow and learn and speak Mandarin. Cantonese is something the south region of China is keeping close to their hearts, but as a business owner, it will not help you stay ahead of the global business marketplace. If you want to keep ahead of the pack, learn Mandarin Chinese. Your business counterparts will all speak Mandarin, and you’ll get deals ahead of those who can’t speak the language. So if this is important to you, you should live in a city that has the official language as Mandarin. In the South of China, that is only Shenzhen. Hong Kong and Guangzhou still are heavy on the Cantonese. As a foreigner in China, you should focus on Mandarin, and if you’re in the south of China, it would be to study in the city of Shenzhen. It is hard to pick a favorite for a travel hub. Shenzhen just opened a massive international airport a couple years ago that is as good if not better than Hong Kong and Guangzhou’s. All these cities are huge transportation hubs. Yet for the trains, still seems like Guangzhou would win. During every Chinese New Year, Guangzhou’s Train Station is a major connecting hub. Lots of people in Shenzhen still need to first connect in Guangzhou and then can go to their hometown by train. What Product Are You Buying? Electronics or Home Goods? Shenzhen is the capital of consumer electronics. Foxconn factory is headquartered here, Lenovo, Huawei. As costs rise in Shenzhen, a lot of the manual labor moves out – but their base of operations and offices still remain in the city. But if you’re doing home goods or textiles, Guangzhou may be a better city for your sourcing endeavors. It is surrounded by small factory cities that do all kinds of products from clothing to fashion accessories to gifts and gadgets. So when you decide which product you’re doing, it is also important to decide which city has the majority of those factories. How About You? 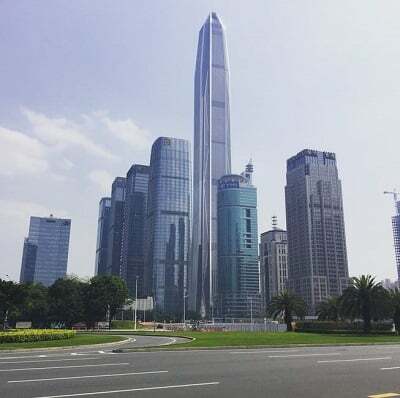 Shenzhen or Guangzhou? So those are the major points I can think of. How about you? I try not to be biased, but I have picked Shenzhen over Guangzhou for about 10 years. I have been to Guangzhou many times for business and to visit the US consulate, yet have never been tempted to base my operations there. Yet I know many who prefer it over Shenzhen. They like the style of living, they feel closer to their factory hub, and they enjoy a cheaper cost of living. I’d love it if you share some of your feedback, opinions, and experiences in the comments below. And if you want to connect with others in our private community, you can read about that here. Thanks!